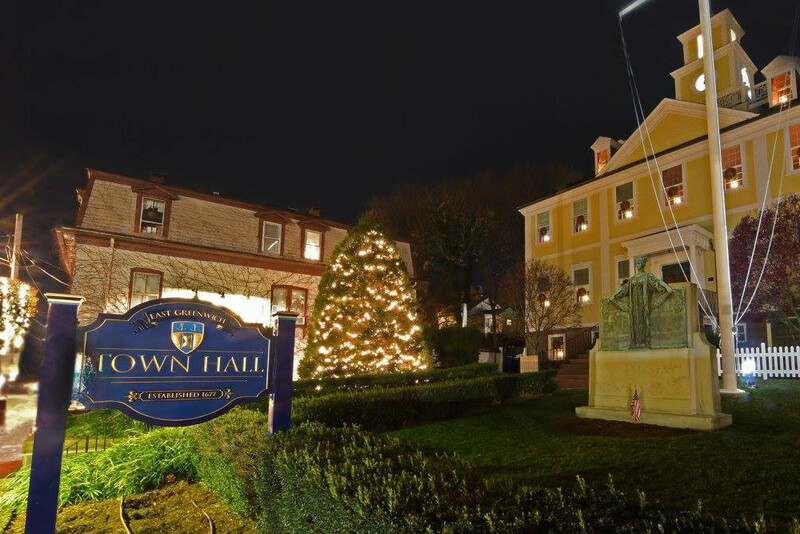 Charlestown’s annual Christmas Tree Lighting at Town Hall on December 1 will have caroling by the Chariho Middle School Chorus, snacks and crafts, rideable Rudolph and Siberian Tiger animatronics and a visit from Santa. During this time will also be the judging of the Heart of the Holidays Gingerbread Competition. Through December 21, Charlestown merchants will host an Elf on the Shelf Expedition Contest, where people will scout out elves and get their passports stamped. Clues to locations are on the Charlestown Parks and Recreation website, and the winner gets $50 towards Parks and Rec programs. Follow the bright lights to see homes done up for the Most Festive House Contest. Judging happens on December 8 in categories like creativity, arrangement and special effects, so check them out that day for peak Griswold. Jamestown’s annual Tree Lighting and Holiday Stroll is happening on December 2. Sponsored by the Jamestown Chamber of Commerce, the stroll will include caroling, musical performances and a bonfire. Spinnakers Cafe will also offer gingerbread decorating. Holidays at the Bay Voyage on December 9 is the Jamestown Chamber of Commerce's annual holiday party – a festive evening of dinner, dessert and dancing, with basket raffles and a 50/50 raffle. If you’d rather skip the meal, there are dancing-only tickets available. The Jamestown Arts Center Holiday Market will be on December 8-9, which is a juried market of unique works by local artists, ranging from painting and photography to glassblowing, sculpture and jewelry. There is also an Emerging Artist Arts Market, made by artists age 15-25. Find one-of-a-kind gifts at the 47th annual Holiday Pottery and Art Sale at the South County Art Association in Kingston, running through December 16. The show features pottery, sculpture, jewelry, paintings, photography and more by SCAA members. The Courthouse Center for the Arts will host the Christmas Elegance Arts and Crafts Show on December 2-3, with handmade items ranging from woodworking to jewelry and Christmas decorations, plus treats for kids and hot toddies for adults. Any holiday decorations are festive, but when they’re homemade, they have a certain kind of magic to them. 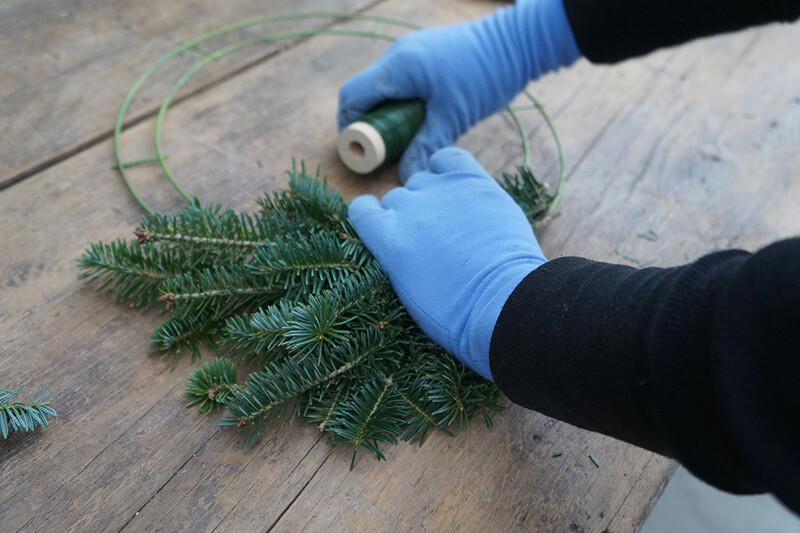 The Farmer’s Daughter offers Wreath Making Classes from December 1-8, and a Holiday Container Class on December 4. Wickford might just win the award for most Rhode Island holiday celebration. During the Wickford Village Festival of Lights, Santa arrives by boat in Wickford Harbor. But that’s just the beginning of the fun. From November 30 to December 3, there will also be an Elf Parade, hayrides with Santa, a tree lighting with a performance by the Lafayette Band and the North Kingstown Community Youth Chorus, a living nativity, ice sculptures made in real time, and more. Merchants stay open late these nights and offer refreshments. Keep your holiday pro tip a secret – or don’t – when you shop at the Small Works Holiday Show and Sale at the Wickford Art Association, now through December 23, where all of the works are affordably priced, and you’ll find the best gifts and still be able to afford something for yourself. The annual Town Hall Tree Lighting will happen on December 1, with caroling by St. Luke’s Choir and Santa’s arrival by firetruck. On December 10, the 25-year tradition of Illuminated East Greenwich will have thousands of luminaria lighting up the streets. The Warwick Symphony Orchestra will perform Winter Is Coming… Solemn & Spectacular at the Greenwich Odeum on December 14. The classical selections by Bach and Frescobaldi, among others, will complement new arrangements by Ricketts, Story and Ford. Richmond’s Tree Lighting and Visit with Santa is on December 9, and will have caroling and refreshments, plus a coloring contest for kids, at Richmond Town Hall. Westerly’s 21st annual Holiday Stroll and Luminaria will light up downtown with hundreds of glowing luminaria on December 6. There will also be strolling carolers, hot chocolate and cookies, and deals at local stores that stay open late. 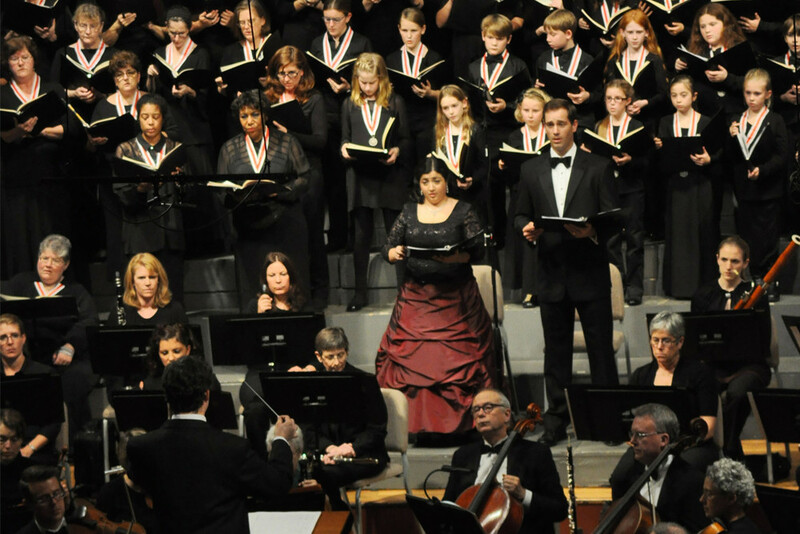 The Chorus of Westerly hosts two beloved annual events: the Messiah Sing on December 2, and Christmas Pops on December 16-17, a spirited holiday concert. Nearby at Granite Theatre, they’re staging A Christmas Survival Guide from December 1-23, a funny show about coping with holiday stress through music, song and laughter. The Westminster Youth String Ensemble Holiday Concert is on December 3, with talented kids joined by adult string players and members of the Westerly Band. La Vigilia, better known around here as the Feast of the Seven Fishes, is Rhode Island’s own delicious pescatarian celebration. Traditionally a Christmas Eve meal, it’s served at the Weekapaug Inn for a few weeks in December. The seven course meal doesn’t just celebrate the holiday, it celebrates the state’s most delicious natural resource. Of all the festive events this month at Ocean House, like Brunch with Santa and Gingerbread House Workshops, the most exotic is their Children’s Christmas Tea with the Mystic Aquarium Penguins on December 10, which is a tea party that offers up close and personal encounters with real penguins. Whether they’ll be wearing top hats and tiny vests like they do in Mary Poppins is TBD. A surefire way to add some charm to the coldest season is by ice skating outdoors. The Washington Trust Ice Rink opens for the season when it’s cold enough – but really, we’re in no rush for that. Main Street in Wakefield is one of the state’s best destinations for strolling and shopping while leaving your car behind. Use that to your advantage on December 2 during the Wakefield Winter Wonderland! Not only do merchants host a scavenger hunt, they do so while reenacting classic holiday movie scenes, live, in their stores. Outside, the streets are illuminated with thousands of Christmas lights, especially after the tree lighting. There will be holiday rides on the South County Trolley, roving carolers and photos with Santa. Rhode Island has a lot of Christmas Carol productions that happen every year, but none like Mrs. Bob Cratchit’s Wild Christmas Binge at the Contemporary Theater Company. In this farcical show, which runs December 1-23, Mrs. Bob hates her kids, and Scrooge believes the world would be better off without him. On December 21, their fourth annual Christmas Cocktail Cabaret will fill The Towers in Narragansett with festive music, caroling and holiday scenes. Treat yourself at Sweenor’s Chocolates Holiday Open House on December 3, the one day of the year that the local chocolatier opens its Wakefield candy-making workshop, where elves will be hand-rolling candy canes. Rhode Island’s favorite surf town goes all out on December 3 for the Narragansett Festival of Lights, which is a whole day of festivities. At the Narragansett Community Center, there will be holiday arts and crafts and Christmas carols. At the library, Hampstead Stage Company will present A Christmas Carol. At the Towers, there will be performances all day, horse drawn wagon rides and holiday trolley rides. Santa arrives on a firetruck at 3pm and will be available for pictures. At Gazebo Park, performances start at 3pm, but the big event is the tree lighting at 5pm, followed by a fireworks display. All this is is on top of an illuminated sea wall lined with luminaria, and a Jingle Bell Run on Town Beach. Simplify your holiday shopping at St. Peter’s By the Sea. On December 2, there will be over 200 gift baskets for sale at their annual Christmas Bazaar, many featuring gift certificates to local stores, plus tables of handmade art and baked goods. On December 3 during the Festival of Lights, Pier Marketplace will also host a luminary stroll with refreshments in each store, and offer pet photos with Santa. From December 2-10, Narragansett Theatre at the Pier presents their own twist on A Christmas Carol, updated with music and topical humor. Have Breakfast with Santa at Trio on December 3, sponsored by the Narragansett Lions Club, from 8am-11am. On December 2-3, Smith’s Castle hosts their annual Christmas at the Castle, showcasing what the holidays were like in the 18th century. The home is decked with colonial-era decorations, and there will be freshly baked treats and mulled cider. Performances all weekend long range from the Brown University Madrigal Singers to the Jesse Liam Band, and a gingerbread house constructed by the Exeter Job Corps Academy. Kids’ crafts, fresh wreaths for sale and appearances by Father Christmas make for a festive historical celebration. Explore the artist collaborative at Shady Lea Mill on December 2-3, when they host their 20th annual Open Studios. The event gives you a chance to meet interesting artists and artisans – everything from glassblowers to guitar makers – find local gifts and support the North Kingstown Food Pantry. On December 9, the North Kingstown Chamber hosts their annual Breakfast with Santa, when they transform North Kingstown High School into a winter wonderland, with cookie decorating and holiday storytelling, plus some face time with the man in red himself.